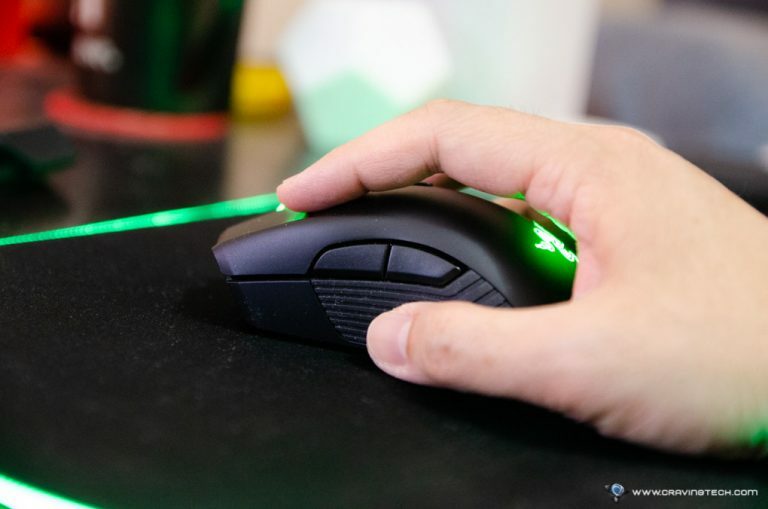 Razer Mamba Wireless (2018) Review – Razer Mamba (wireless) was Razer’s signature, wireless gaming mouse since 2010. It was then updated in 2012 and 2015. 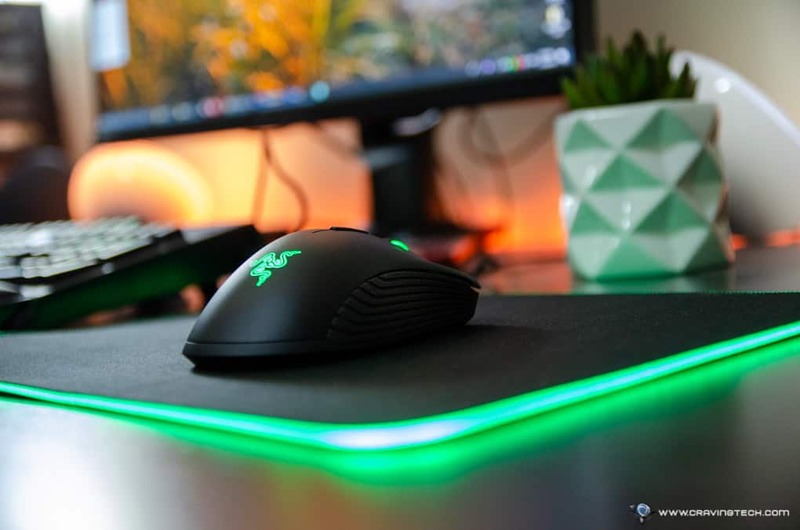 Though the Razer Lancehead tried to take its throne, some are still in love with the Razer Mamba’s signature shape and design. 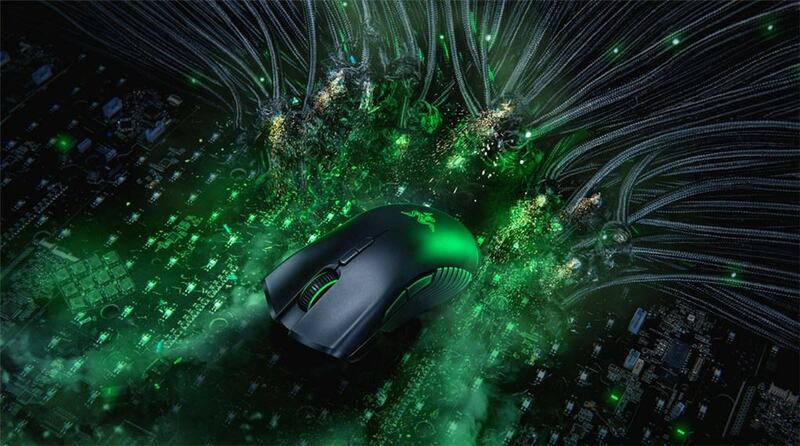 Or if you are a DeathAdder user and thinking to move to the Mamba line, you’d feel straight at home as well. 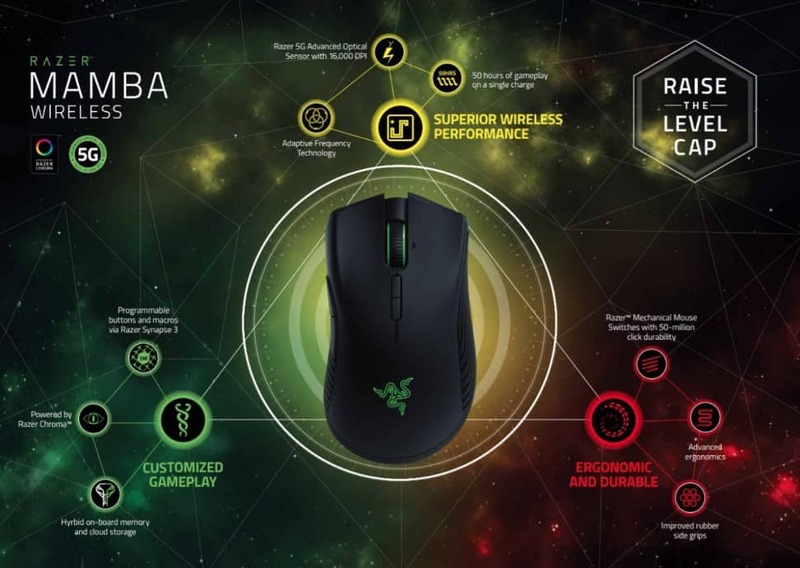 Razer has now updated the Mamba wireless line with the release of Razer Mamba Wireless (2018). It comes with an updated sensor, better battery life and more. To my surprise, Razer Mamba Wireless does not include a signature charging dock that Mamba fans used to love. 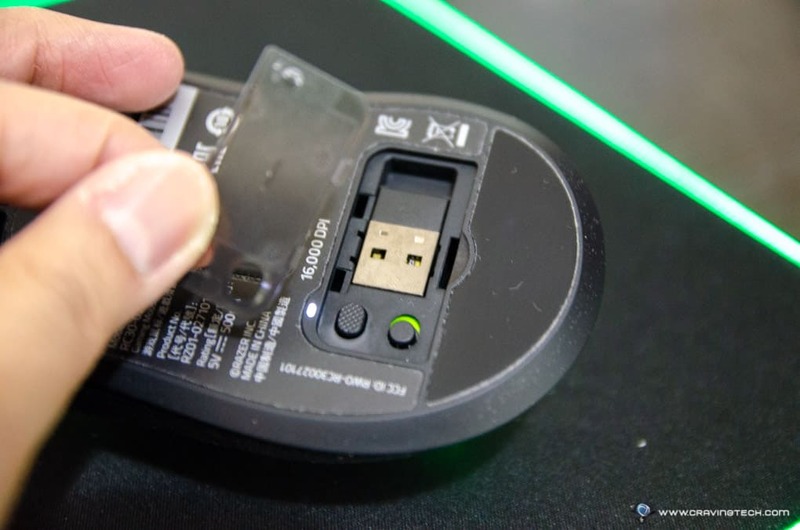 Instead, you’d have to plug a microUSB cord into the mouse to charge (and play at the same time). Ugh, but I guess this is to cut the cost of the mouse down. The latest Razer Mamba Wireless borrows all the best design and features from the other Razer’s gaming mice. 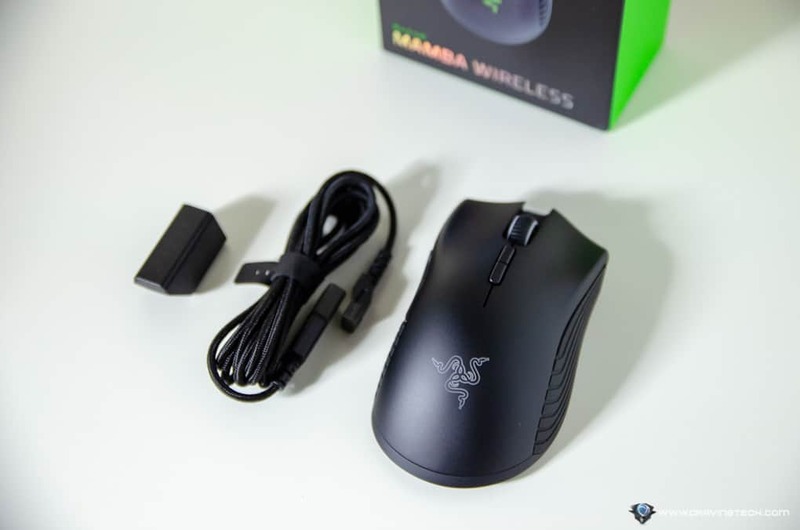 For example, it still has the same, popular Razer Mamba / DeathAdder shape with slight tweaks on the design. Side grips have been improved with the same non-slippery fin design first seen on the Lancehead, and it offers the best grip in my opinion (compared to Logitech G Pro Wireless and SteelSeries Rival 600 design). While I consider myself having small hands and using a Claw/Fingertip grip, I’m quite comfortable playing and fragging with the Razer Mamba Wireless. Those with bigger hands and using palm grip will definitely be happier with its weight and size. The mouse has a 106 grams weight (excluding cable) so if you want a bit of weight on your mouse, the Mamba Wireless hits the spot. And if you swear by having a mouse below 100 grams, 6 grams more don’t really mean that much. Razer Mamba Wireless has all the best Razer’s mouse technology can offer at the moment: the latest Razer 5G Optical Sensor (450 IPS, 99.4% resolution accuracy), up to 50 hours of battery life, Adaptive Frequency Technology which scans & switches to the most reliable wireless frequency channels, durable mechanical mouse switches of up to 50 million clicks durability, and of course, Chroma lighting. Fifty hours of wireless gaming mean you’ll never ever run out of battery while you are gaming (especially if you want to bring the mouse to a tournament or away for an interstate trip). Sure, at the end of the it all, you’ll still have to plug the charging cable in to charge and that’s when the fun is kind of over. 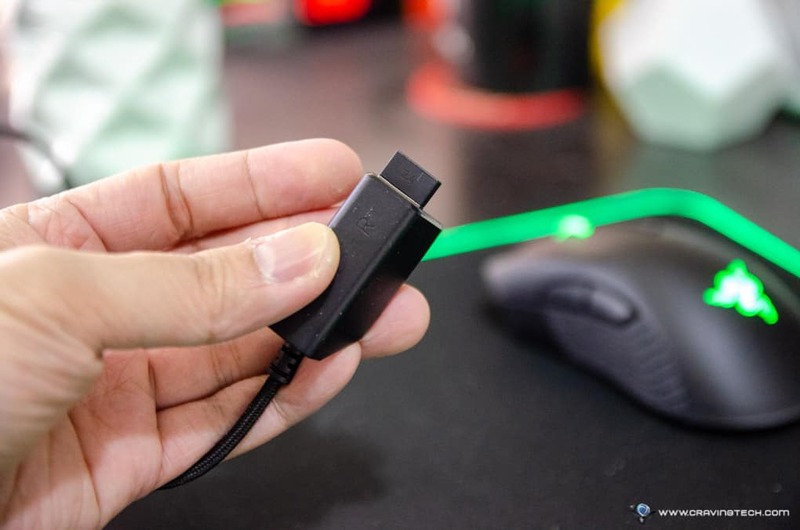 Unless you have the money to go for something like the Razer Mamba + Firefly Hyperflux solution, you just have to get used to it, but I do wish they include a charging dock like the predecessor (or has a separate purchase option). The mouse has 2 DPI switch buttons below the scroll wheel like the other Razer mice and you can reassign them to something else. I use these buttons all the time to swap between 800 & 2700 DPI in-game. 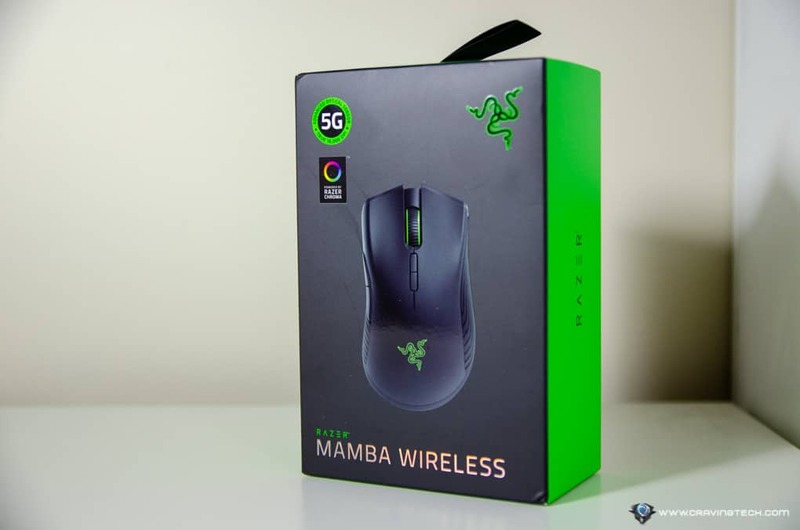 The new Mamba Wireless does not have that awesome side lighting like the 2015 Mamba Chroma unfortunately, but note that having more lights will further reduce the battery life; I’d pick more battery life on a wireless mouse than fancier lighting. All sounds good and dandy, but how does it perform in games? I’m only playing Overwatch at the moment but it’s a fast-paced, online, first person shooter (FPS), competitive games and it’s a perfect test for any gaming mouse. 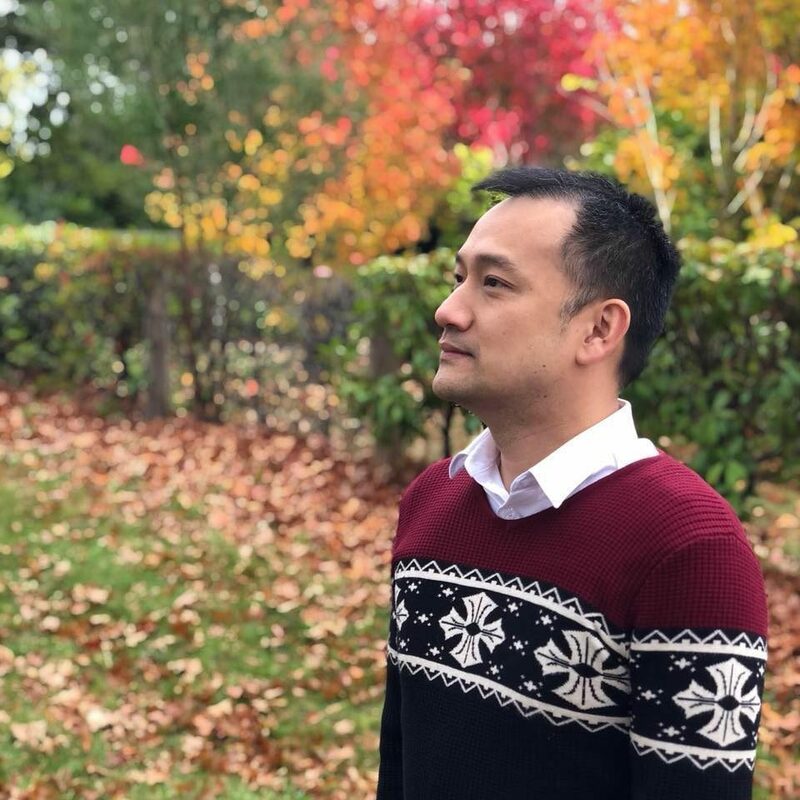 During my testing, I’ve found that the sensor was accurate which helped me tremendously during my games of both casual and competitive. The highest test of accuracy was when I used heroes that require precision aiming such as McCree, Widowmaker, or Hanzo. The sensor tracking is pretty awesome (I was using it with my Razer Goliathus Chroma mouse mat) and flicking shots can also be executed flawlessly. 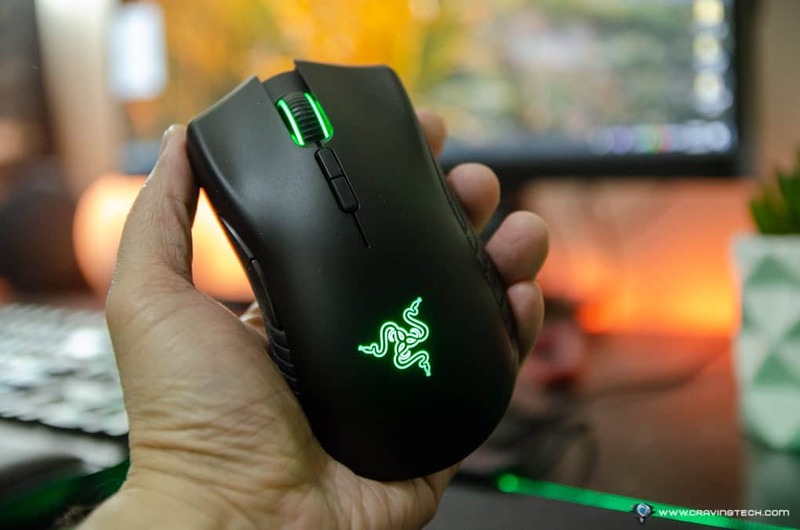 Razer Mamba Wireless (2018) is Razer’s best & most superior wireless gaming mouse to date. 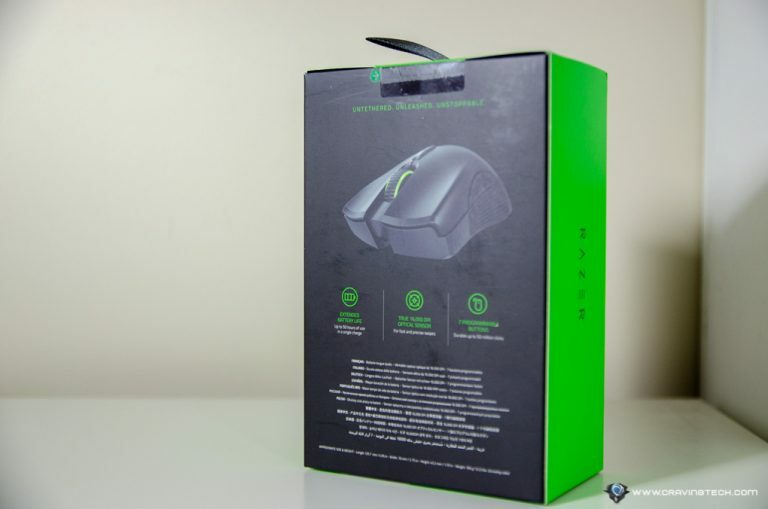 It has every recent & best Razer technology that Razer can throw in such as their latest 5G optical sensor, Razer mechanical mouse switches, Adaptive Frequency Technology (AFT) for getting the most reliable wireless connection, best battery performance, Chroma lighting, and best ergonomic + grip design. 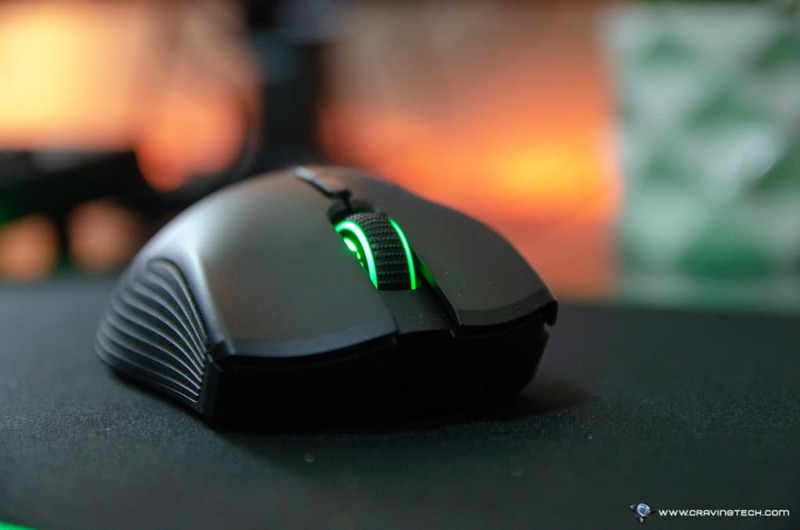 If you’ve loved Mamba for the past years, you’re in for a treat as the latest Mamba Wireless gaming mouse has all the updates you’ve been craving for. Except that it doesn’t include a charging dock this time, and you’ll definitely miss it. But thankfully, everything else makes up for it.